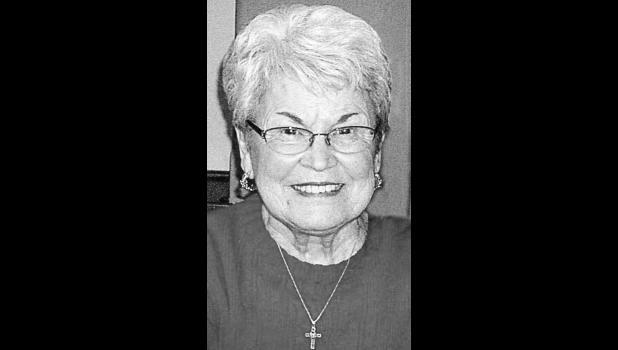 Helen M. Askren, 83, of Holton, passed away Thursday, June 14, 2018, at Holton Community Hospital. She was born March 4, 1935 in Holton, the daughter of Carl and Eleanor (Bohannon) Bradley. Helen graduated from Holton High School in 1953. She later graduated from Clarks School of Business in Topeka. Helen was the secretary for the superintendent for the USD 336 in Holton for more than 31 years, retiring in 1994. Helen was also a member of the First Christian Church in Holton and Kansas Association of School Business Officials. She continued to stay busy and volunteered for the Holton Community Hospice. She enjoyed water and snow skiing, camping, bowling and knitting. Most of all, she enjoyed spending time with her family and friends, especially her grandchildren and great-grandchildren. On Jan. 1, 1954, Helen was united in marriage to Robert Franklin Askren at the Holton Christian Church. They shared more than 55 years before Robert passed away on Feb. 2, 2009. She was also preceded in death by her brother James Bradley. Survivors include a daughter, Kathryn L. Bradley-Askren (Pat) of Albuquerque, N.M.; two sons, Steven W. Askren (Sheila) of Holton and Bruce D. Askren of Carbondale; two sisters, Ethel Ann King of Holton and Verda Gharst of Topeka; four grandchildren, Jeremy, Jessica, Brad and Emily; and six great-grandchildren, Jade, Ashleigh, Jeron, Colton, Lillian and Charlotte. Funeral services were held Monday morning, June 18 at Mercer Funeral Home in Holton. Burial followed in Holton Cemetery.